Over the years I have tried a few different methods to wash my hair. Mostly out of curiosity to see what would happen and to see how washing hair looked like in the pre-industrial area. I have tried: less shampoo, just normal soap, just water and vinegar, baking soda and water, water and egg-white, various tea mixtures, citric acid, ascorbic acid (vitamin-c). All of them work well but rinsing the hair with one of the above acids provided very good results and can be combined with any of the other hair washing methods. A healthy scalp and skin is slightly acidic and many shampoos are alkaline to neutral. Rinsing the hair with vinegar makes it shiny. People have used it for hundreds of years after washing their hair. Rinsing the hair with vinegar helps to maintain that acidity. However not all acids are equal in the way they dry. You can dilute different kinds of acids to the same strength by adding more or less water to each type of acid but even when the same amount of volume has evaporated for different acids the strength of the remaining solution can be very different. It is therefore important to consider what happens when diluted acids dry. Vinegar evaporates at room temperature before all the water has evaporated. This means that a vinegar solution becomes less and less concentrated as it dries. Eventually there is no acid left. 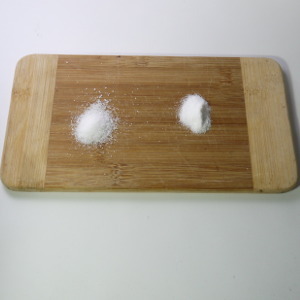 Citric acid or ascorbic acid are solids. 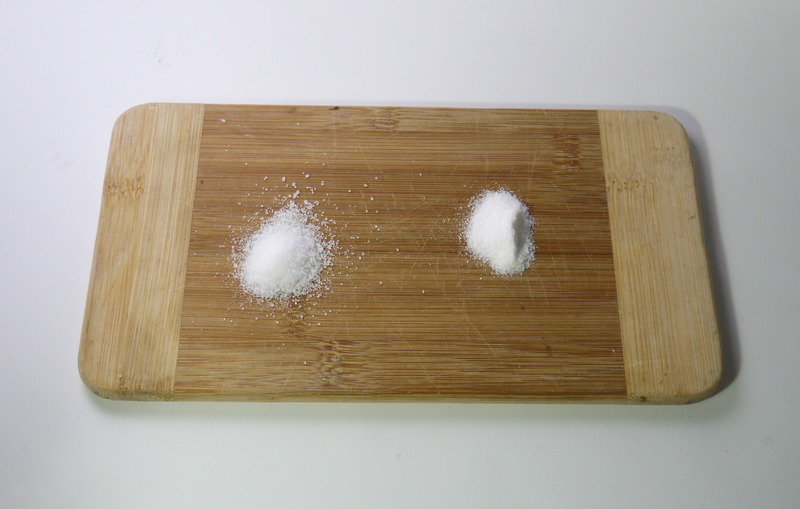 The powder of those acids can be diluted to get a solution but when it dries the solution becomes more and more concentrated. The acid molecule remains. Only the water evaporates. I wanted to try something other than vinegar because vinegar smells due to the fact that it evaporates. However I was a bit worried about what would happen when I had finally tiny concentrated acid crystal on my skin. It turns out that citric acid and ascorbic acid are much stronger acids than vinegar but they are still fairly weak and they are acids that occur naturally in fruit juices. We can drink them without any problems. Normal skin can handle a thin film of microscopic citric acid or ascorbic acid crystals. It is actually very good for the skin as it builds a protective acid layer and the acid itself is not strong enough to damage the skin. There are as well studies showing that the antioxidant property of ascorbic acid reduces the effects of photo-ageing on the skin. I made a solution that consists of a teaspoon of citric acid powder and a teaspoon ascorbic acid powder dissolved in 0.5 Liters of water. After that I just dry my hair with a towel. The results are very good. No itching scalp. No dandruff. It's not that I had a dandruff before but towards the winter when I used a heat to go outside I would sometimes get some dandruff. There is no more dandruff at all and my scalp just feels much better. Good and healthy hair starts with a healthy scalp and it seems this is what citric acid or ascorbic acid help with. I have experimented also with solutions of just citric acid or just ascorbic acid. There was not much obvious difference. The mixture seems to work best but I did not do a scientific study on this. This is just my judgment. Note that ascorbic acid is an antioxidant and as the ascorbic acid molecules oxidize they change their color from clear/white to brown. This can discolor pillows and towels. The brown stains go away when you wash the items. If you have long hair then you might still want to rise the hair with water after rinsing the scalp with the acid solution. Citric acid and ascorbic acid make the hair stiff since they become solids when drying. 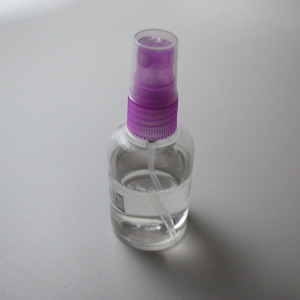 I have as well tried a small spray bottle and I use it to spray the solution very close to the scalp such that the outer hairs gets less exposed to the acids. A small spray bottle with a solution of citric acid and ascorbic acid. Keep it in a dark cabinet. Ascorbic acid oxidizes quickly and becomes yellow-brown when exposed to light.